The 5th Avenue Theatre presents an exquisite new musical based on a famed masterpiece by Edgar Degas and the unknown dancer who inspired it. Part fact, part fiction, and set in the glamorous and dangerous backstage world of the Paris Opera Ballet, this magnificent new musical follows a young woman caught between the conflicting demands of life and art, and an artist with one last chance for greatness. In "Marie, Dancing Still - A New Musical," Broadway visionaries meet ballet royalty. Five-time Tony Award-winning director and choreographer Susan Stroman (The Producers, Contact), Tony Award-winning authors Lynn Ahrens and Stephen Flaherty (Ragtime, Once On This Island), and acclaimed New York City Ballet principal dancer Tiler Peck invite you backstage into 19th-century Paris, where glittering opulence hobnobbed with underworld dangers. In this era of groundbreaking artistry, a girl named Marie (Peck) dreams of being the next star of the ballet. Despite the odds of her hard-scrabble life, she scrimps, saves and steals in pursuit of her ambitions. But when fate leads her to the studio of Impressionist Edgar Degas, she unknowingly steps into immortality—becoming the inspiration for his most famous sculpture ever: Little Dancer. Also starring Tony Award nominee Terrence Mann (Pippin), Louise Pitre (Mamma Mia!) and Tony Award winner Karen Ziemba (Contact), "Marie, Dancing Still - A New Musical" is the gorgeous new musical poised to conquer the stage—and your heart. Recommended for ages 14 and up. Children under 4, including babes in arms, will not be admitted. The 5th Avenue Theatre and TodayTix are thrilled to bring you $25 Rush tickets to all evening performances of "Marie, Dancing Still!" Every performance day, on a first-come, first-served basis, a limited number of $25 Rush tickets will be made available. To unlock this feature, The 5th Avenue Theatre simply requests that you spread the word on social media through our app. Mobile Rush is for evening performances only. Seating location is at the discretion of The 5th Avenue Theatre box office. Company may offer programs whereby the Company would make available certain features of the Services when you share information about the Services through an SNS or click on the “Unlock without sharing” button in the Application. 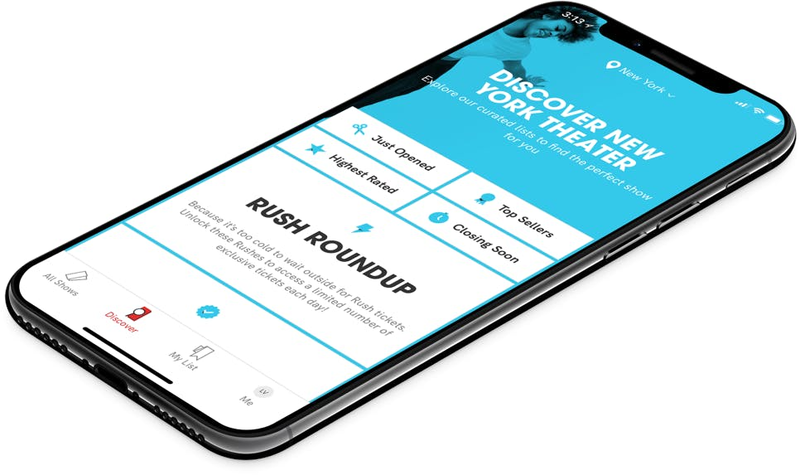 When you are considering purchasing a ticket for a specific show or after you purchase a ticket, if you select the “Share” button in the Application, Company will make available to you a personalized link to a Digital Property with text stating, for example, “Check out Marie, Dancing Still - A New Musical on TodayTix! I’m thinking of going…” or something similar, which you may choose to share with your friends via SNS. Once you have shared the personalized link through an SNS using the Application or selected the “Unlock without sharing” button in the Application, Company will make available to you the RUSH feature, which will provide you with otherwise unavailable offers for tickets to live events occurring in the next week. The opportunity to take advantage of these offers is only available to users who share a personalized link to an SNS through the Application or select the “Unlock without sharing” button in the Application.